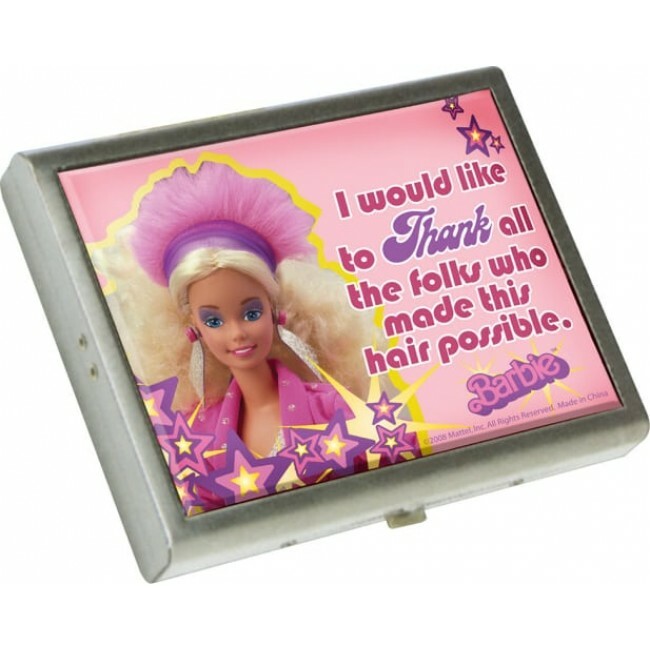 This Barbie Metal Wallet Box serves as a card holder, wallet, stash box or carry all. Measures 4" x 3.25". Use it carry only the necessities!